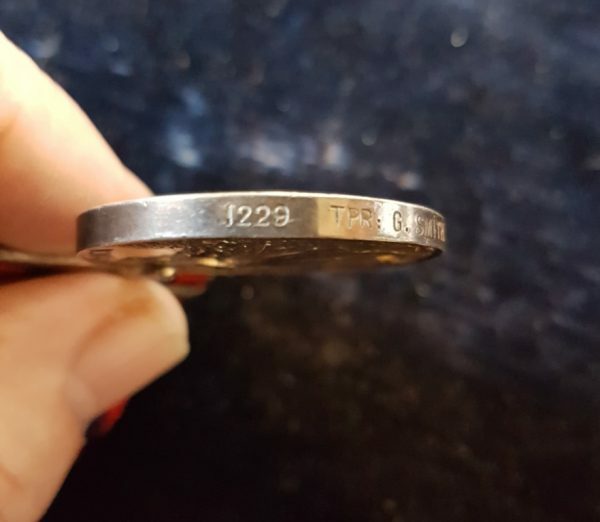 1229 TPR. 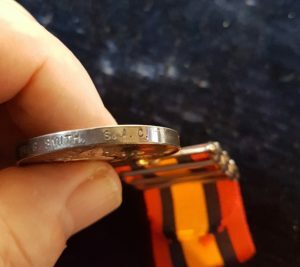 G. SMITH. 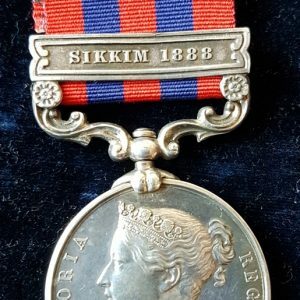 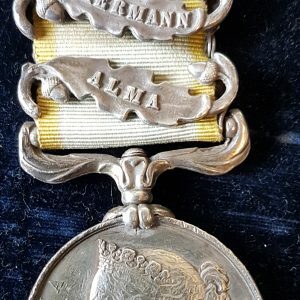 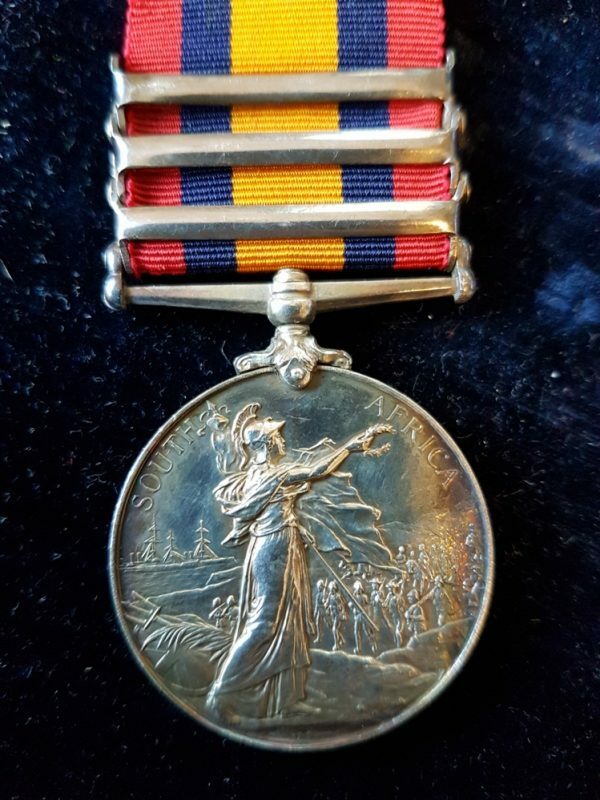 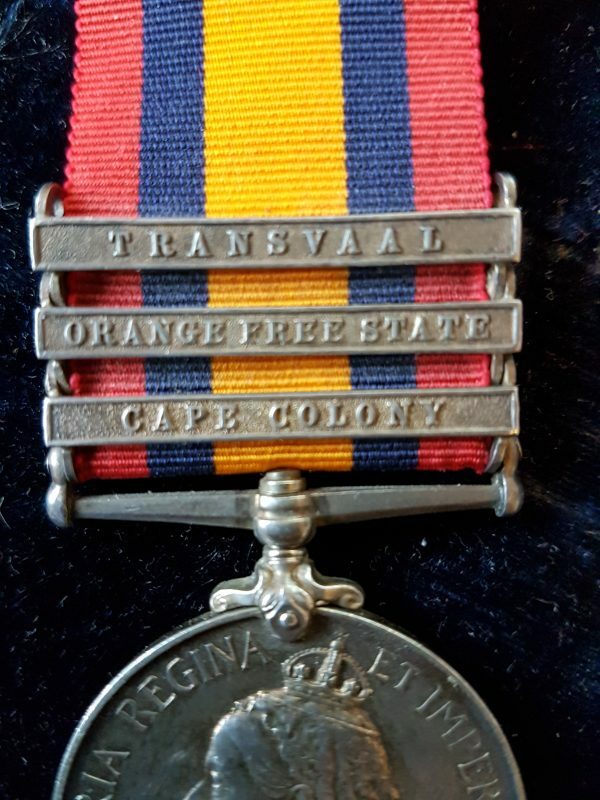 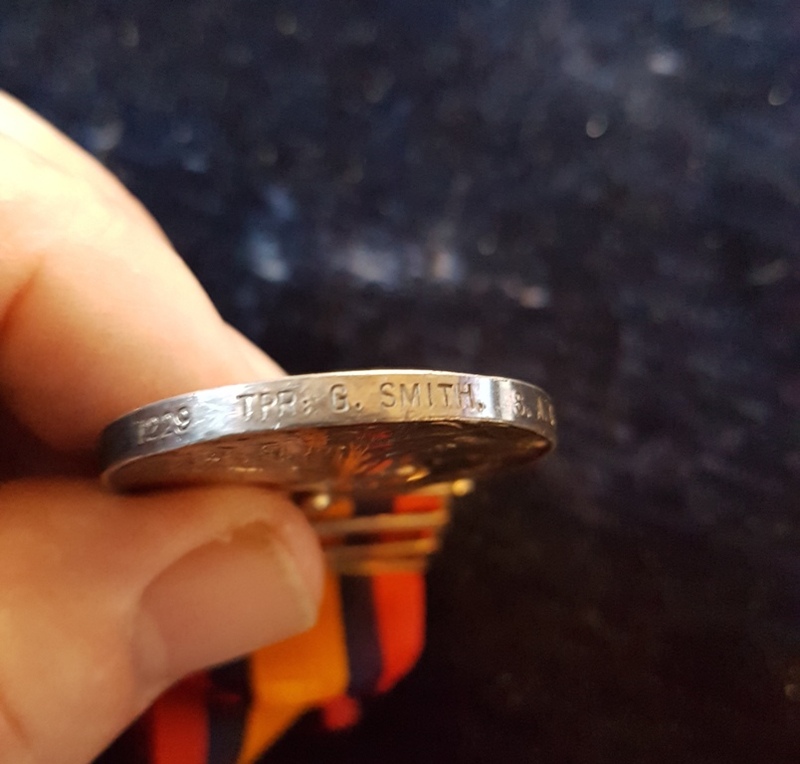 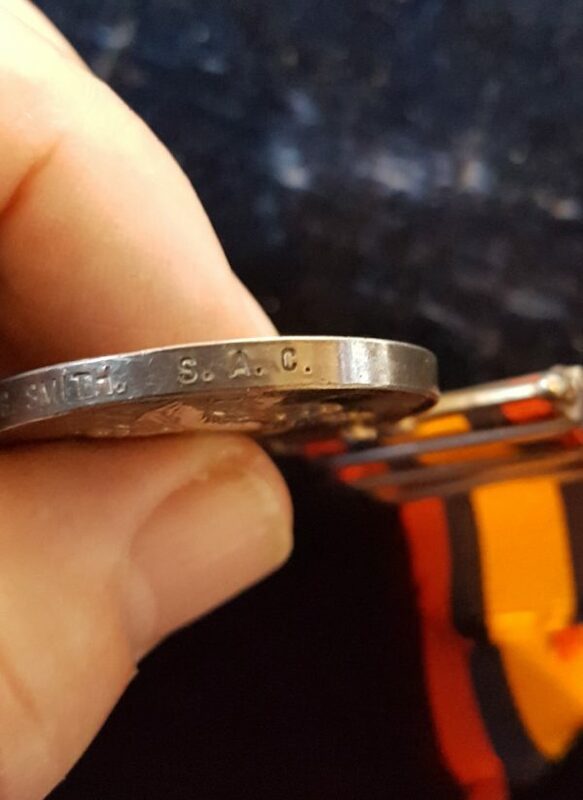 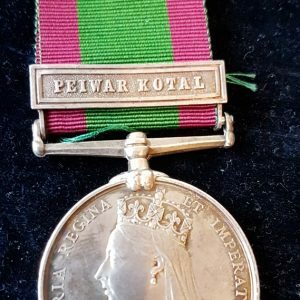 S. A. C.
Queen’s South Africa Medal with Cape Colony, Orange Free State and Transvaal Clasps. Named to: 1229 TPR. G. SMITH. 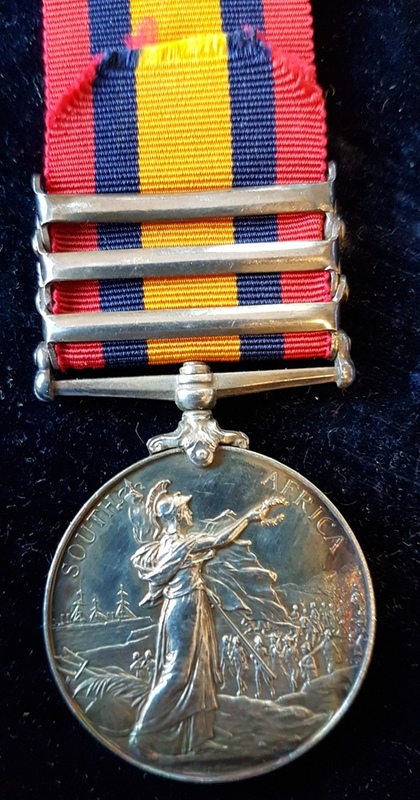 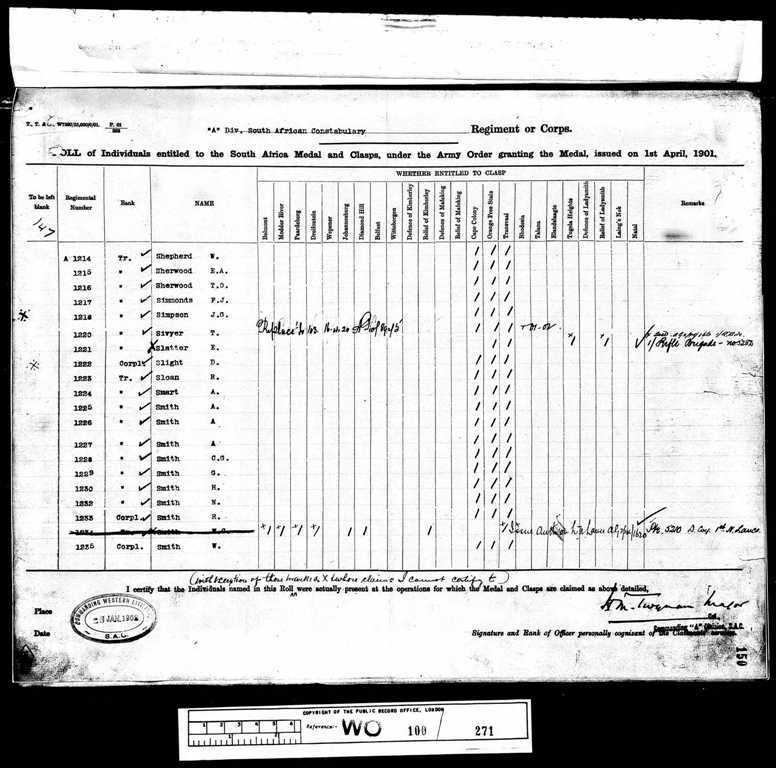 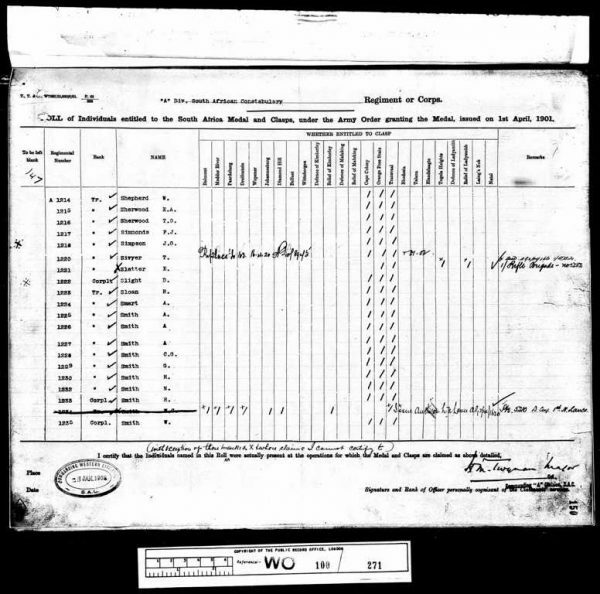 S. A. C.
South African Constabulary – A Division confirmed on Medal Roll, see image.